By the 28th of September 1918, if ever thoughts arose that the German army was on its last legs, the battle of Cambrai soon dispelled them. This northern French city, an ancient capital, had been in German hands since 1914, its roads and railways a key logistical hub linking north with south, and east to Germany. General Ludendorff was of no mind to lose it. On a broad high plateau to the north and west of the city he massed his battalions. Into the last of the prepared trenches, hidden in ravines and hollows, in shell-holes and behind lines of wire they flooded. 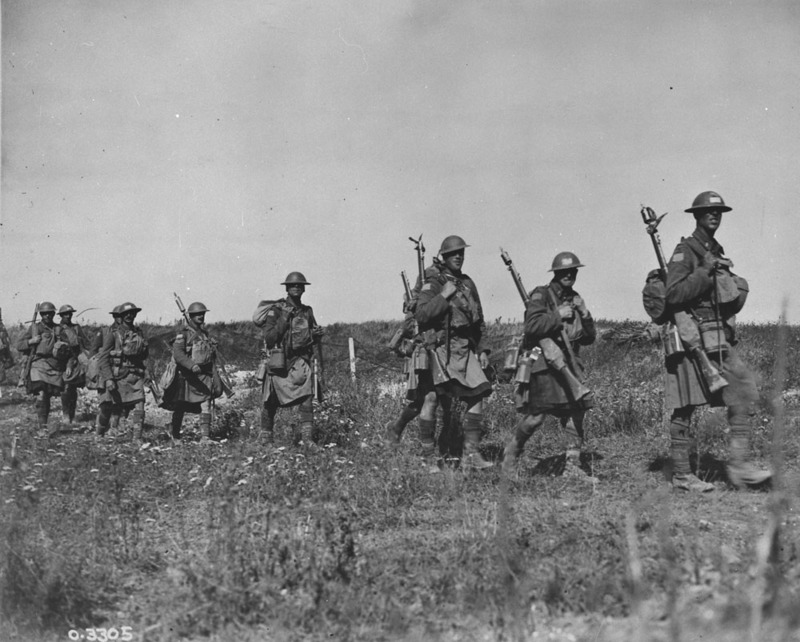 Against them were ranged the four divisions of the Canadian Corps, the 11th British alongside. It was to be what one battalion history described as “the most desperately fought engagement of the war”. Five long days of bitter fighting ensued, attack followed by waves of counter-attacks. Artillery roared night and day. By October 2nd division after enemy division had been thrown into the breach, an astounding 13 in all. To no avail. The Allied encirclement of the city was virtually complete, the German defenders beaten and exhausted. Cambrai itself still loomed, but the heart of the German line on the Western Front was pierced for good, the mighty Hindenburg Line turned from the north and an iron wedge thrown between his forces north and south. Perhaps more than any other, this second battle of Cambrai was the one that convinced Germany’s generals of the need for peace. But to the desperately weary soldiers, mourning the thousands of their fallen comrades, the war went on and they girded themselves for the next battle.